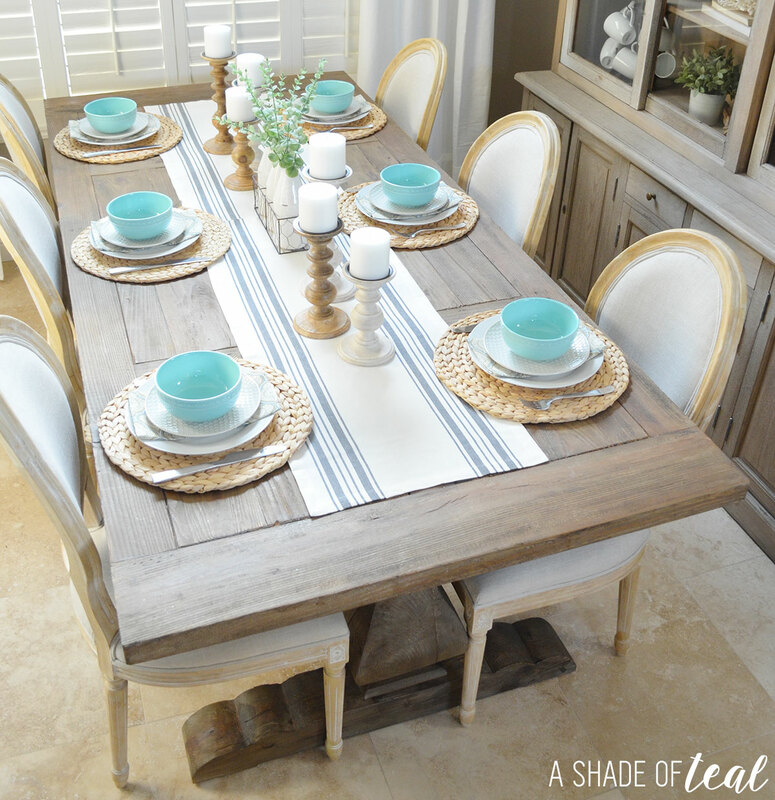 A dining room isn’t complete without a table, and I have an amazing one to share with you today! Since completing my Dining Room Reveal, I’ve been finding myself constantly visiting the new room and admiring all the hard work. It’s pretty crazy to think a couple weeks ago this room was empty. 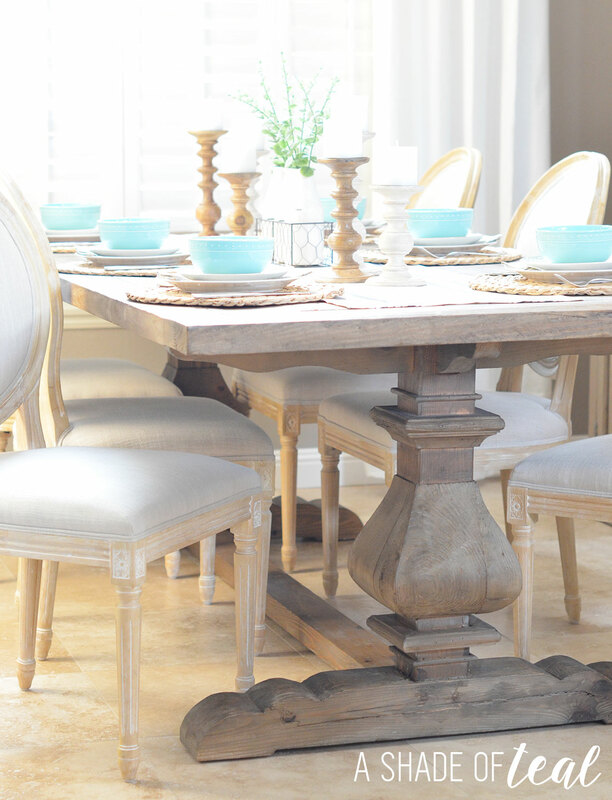 One of my favorite pieces has been my new Balustrade Dining Table from Urban Home. 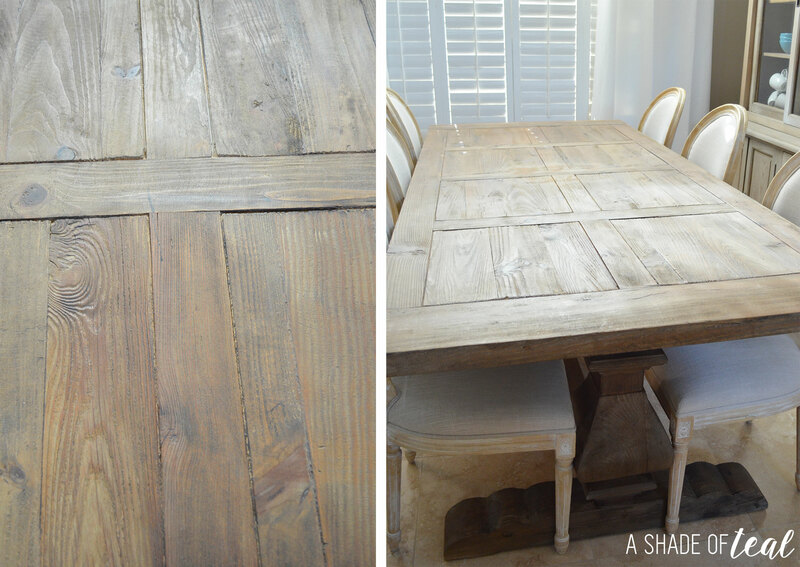 I have been looking forever for a new rustic table that would suit my living room design. I wanted the perfect mix of rustic, style, and function and this table checked all those boxes. 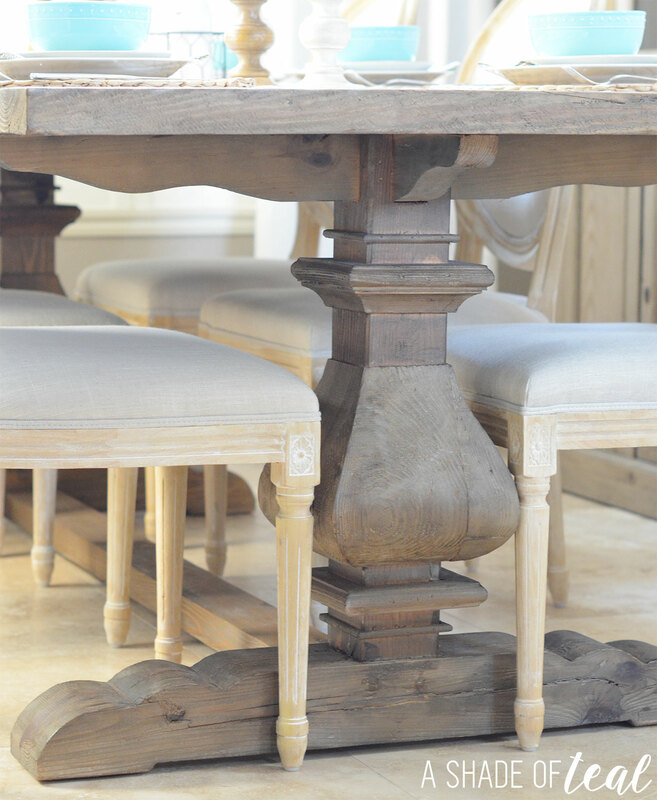 The Balustrade Dining Table has the perfect baluster posts for that rustic charm; this was a main feature I was looking for. Most importantly they were large posts that suited the rest of the table. 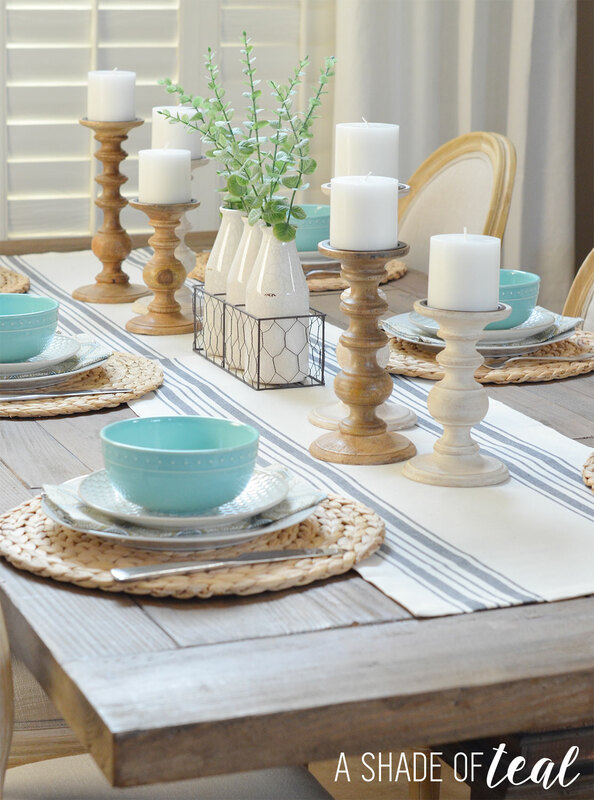 So many other tables have a similar look but the posts can be small and not proportioned with the rest of the table. The distressed finish is AMAZING! 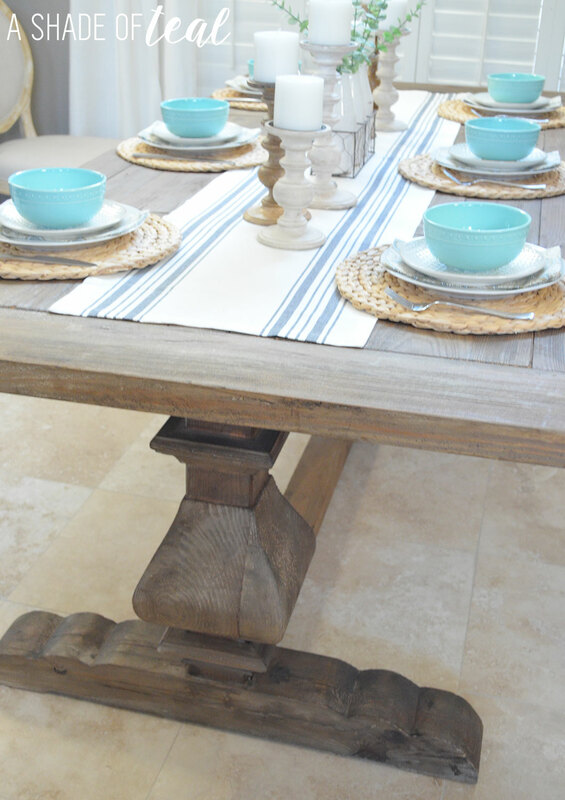 The table is constructed from reclaimed wood, so each piece is unique. Plus, the color is exactly what I was looking for with its natural and grey look. I love dressing up tables, but this table needs no help. 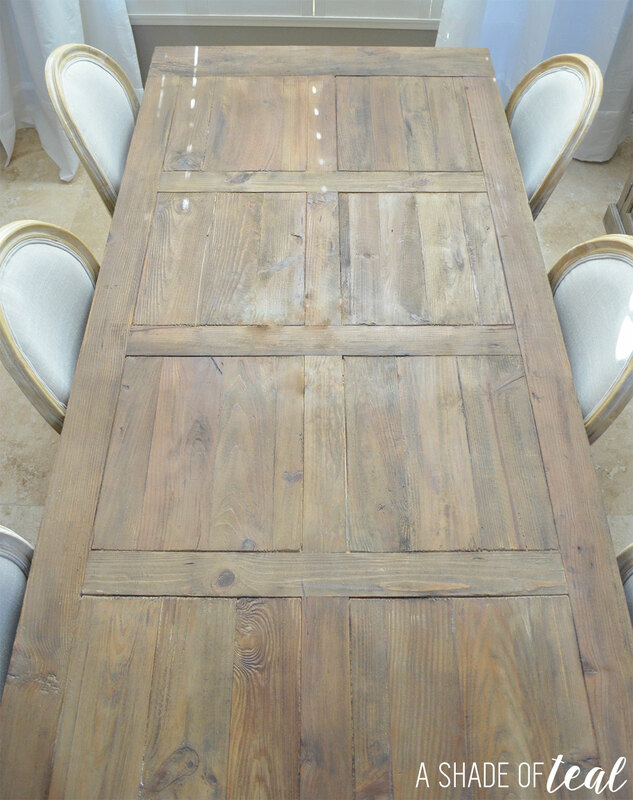 The thick planked tabletop has a door like pattern and is beautiful on it’s own. I keep going back and forth with my decor, since I love admiring the tabletop. This table fit’s perfect with my new dining and living room, and I’m so happy this was the piece I went with. Don’t forget to check out Urban Home’s amazing furniture selection, including my Cranberry Cabinet (more on that next week) and the Balustrade Dining Table. That table is absolutely breathtaking! I wish mine was that wonderful. Then to top it off with all those beautiful pieces, it makes quiet the statement. Everything in those pictures look so lovely! I love Modern rustic decoration! Thanks Amy! 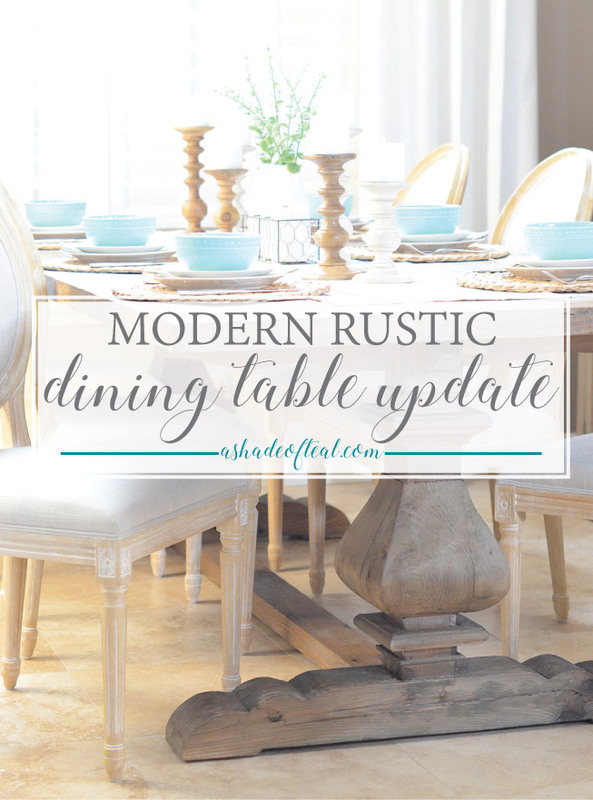 I’m also loving all things rustic! This is just plain lovely! I like the combination of rustic and modern and it’s definitely becoming a trend as well. I love how it turned out. The colors are great too! What a gorgeous table! And I absolutely love your table setting. The teal bowls really stand out. And how cute are those milk bottle centerpieces. Thanks Debra! The centerpiece is a fav of mine! That table is to die for! Oh my gosh! I love the rustic look! I love this whole room! I wished I had enough room in my dining room! Beautiful!!! This table turned out beautiful!!! 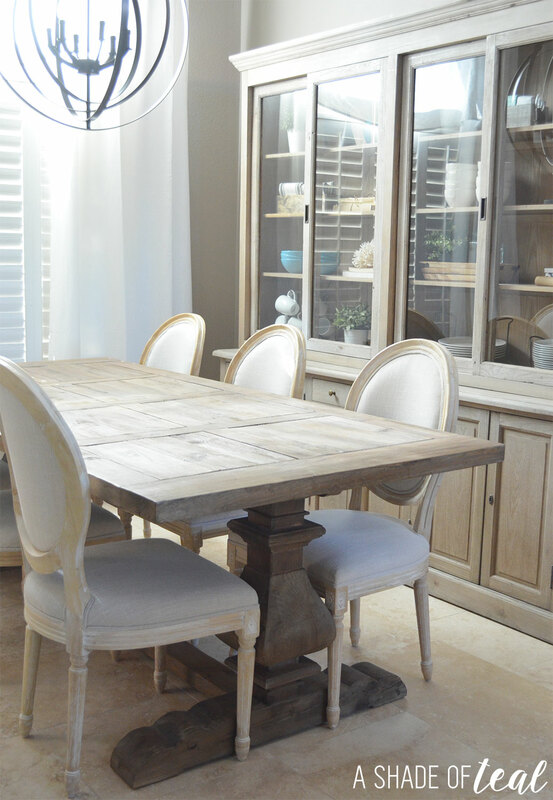 I love the rustic furniture look, looks like it would seat a lot of family and friends! Thanks Vera, I know this table is huge. I’m hoping to get at least 10 people around it soon! Oh wow, I love this! So gorgeous. I love the modern rustic look, teal is such a pretty color that compliments the wood! Thanks Michelle, I love my teal! Love this dining table. 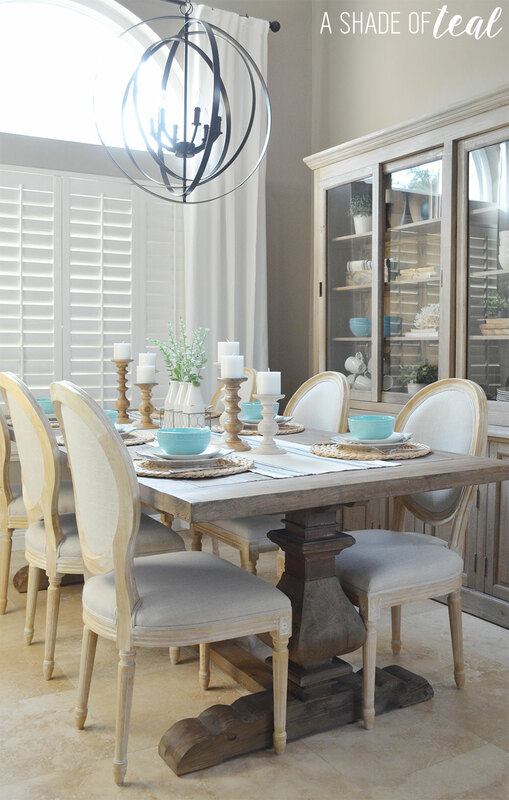 I’m huge fan of rustic furniture and giving it a little update – this looks great. I love your table display too. Great photos! Modern rustik style is elegance and comfortable.